Antonio Conte and his premier league champion side Chelsea continue their European adventure as they take on Spanish side Atletico Madrid in the UEFA Champions League game this Tuesday night, 05 December 2017. Chelsea have already qualified for the knockout stages but they still need to win atleast a point to ensure themselves group winners place. Atletico needs to win and hope Roma lose their game to qualify for knockout stages. Team News & Lineups: Chelsea won their opening Champions League game with 5 different goal scorers in a 6-0 win against Qarabag. Another win against Atletico away from home will put them in a very healthy position with 4 games remaining. However Atltico can not afford to lose this one. Which makes it a very interesting game between the two sides who have a rich recent history and rivalry not only on the pitch but off it as well. Diego Costa’s transfer to Atletico has just been confirmed and their recent meetings were absolute tactical masterclasses. 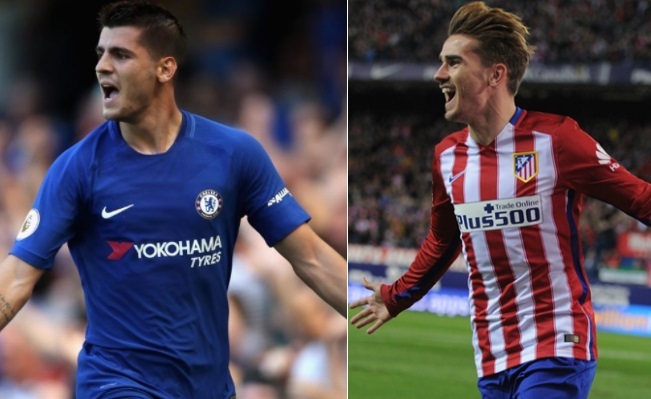 Both Atletico and Chelsea usually play in similar style in Champions League, defend with numbers and try to catch the opponent on counter attacks and that will be the case when these two meet tonight at Wanda Metropolitano. Conte’s knows he can not afford to go all out attack against a team who likes to defend and frustrate opposition. I can barely see a goal in this game and whoever scores one is likely to take all three points. This is how I expect both teams to lineup on Wednesday night. Confirmed team news available 1 hour before the kickoff. Match Predictions: A touch one to call this one, Chelsea have recovered from that shocking defeat on the opening day in premier league and since than have won all their games apart from that 0-0 against Arsenal. Atletico also recovered from bad start and now find themselves going with three back to back wins against tough oppositions in La Liga. Im going with with a draw in this one and it might very well be a 0-0.
chelsea deserved it. bye bye diego!!! i saw your loser face!!! !